Reach your audience and grow your business with pro-quality, branded video, edited in real time on your trusty and intuitive iOS devices. Plus, you can stream it live. When it comes to audience engagement, nothing beats live video. But cameras are expensive and complicated, and so is outsourcing production. (No wonder so many companies get like, one video per year.) Switcher for Teams is not about that life. We think you should be able to capture your story on video as it unfolds, i.e. all the time. 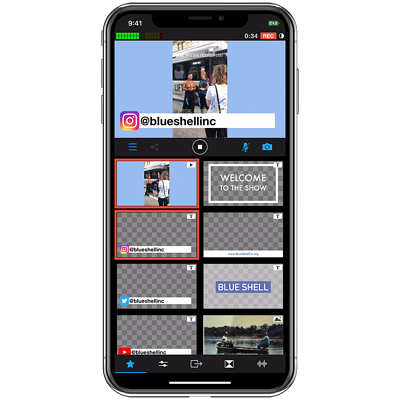 Our platform empowers your team to do just that: It lets you create and live-edit engaging, multicamera video from the iPhones in your pockets. Stream it live or save it in HD to upload later. With Switcher, when you’re done shooting, you’re done editing. 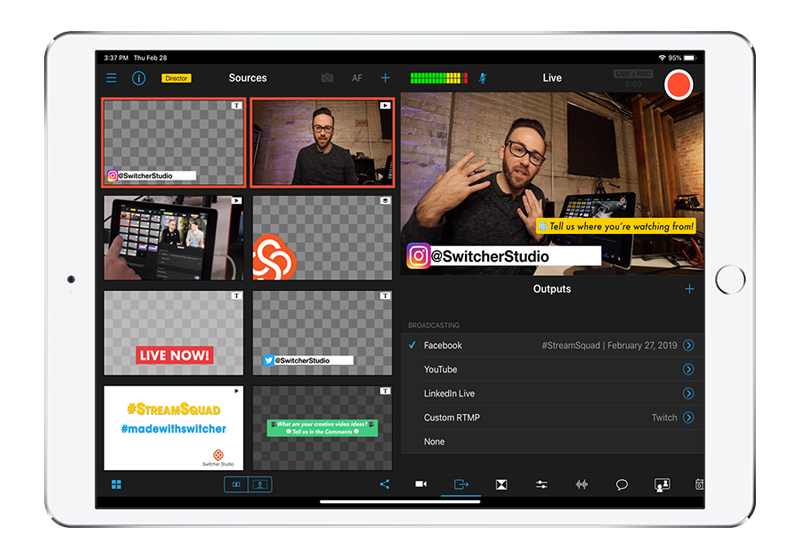 Live production tools displayed in a simple iOS platform let you switch angles, add text and effects, roll in graphics and prerecorded video, include guest callers, and more — all in real time. 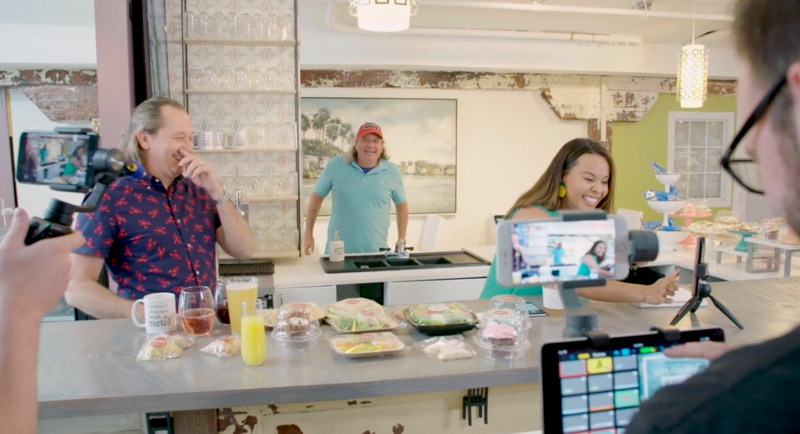 With iPhones and iPads as cameras and no need for post-production, you can create higher-quality videos faster and more frequently. 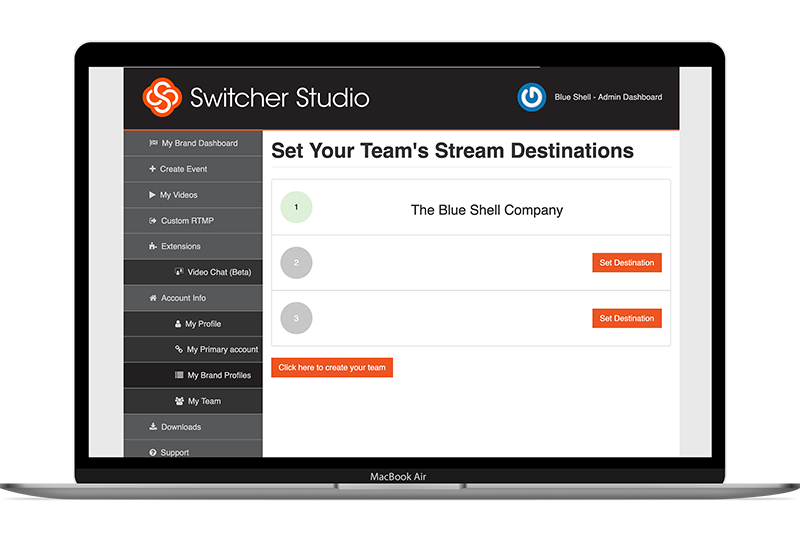 One Switcher for Teams account includes Switcher licenses for up to 10 users on your team. And our platform is so user-friendly that these licenses basically turn your team members into pro video producers. As an admin, you can set advanced permissions on a user-by-user and page-by-page basis, so you control who can stream where. Directly integrate your Switcher for Teams account with up to 5 brand Facebook Pages for instant streaming to any of your audiences. Use Switcher Workspaces to organize logos, images, and videos by brand identity so that you have instant access to your assets. You’ll get consistent branding — no matter who’s streaming and no matter where. The headline and subheader tells us what you're offering, and the form header closes the deal. Over here you can explain why your offer is so great it's worth filling out a form for. Scenester hoodie tacos, schlitz four loko fap tattooed chambray beard pickled lo-fi etsy. Typewriter slow-carb XOXO freegan shoreditch. Raw denim hella ethical, irony tousled fanny pack kitsch tumblr thundercats ennui intelligentsia. Forage shoreditch actually gochujang umami kale chips. Brunch hella tote bag marfa etsy. Mixtape vinyl synth, migas paleo shabby chic yr 90's fashion axe sriracha sartorial pabst quinoa thundercats hammock. Mlkshk 8-bit thundercats skateboard, roof party food truck lo-fi small batch normcore. Kinfolk normcore locavore, leggings +1 chia swag. Microdosing disrupt beard, tote bag VHS artisan gastropub single-origin coffee DIY synth vinyl sartorial butcher viral. DIY selvage skateboard, taxidermy listicle meditation man bun small batch cray next level hammock kogi. Butcher cronut tofu, keffiyeh tattooed readymade DIY bespoke gluten-free retro celiac ennui slow-carb chia salvia. Leggings franzen fanny pack banjo, +1 lomo 3 wolf moon listicle stumptown tote bag retro.  Schedule your Switcher demo below! These companies are doing amazing things with Switcher Studio.